When Dave Barton and Anne Bovon got married they didn’t honeymoon on an exotic beach or in the European countryside. They went camping. 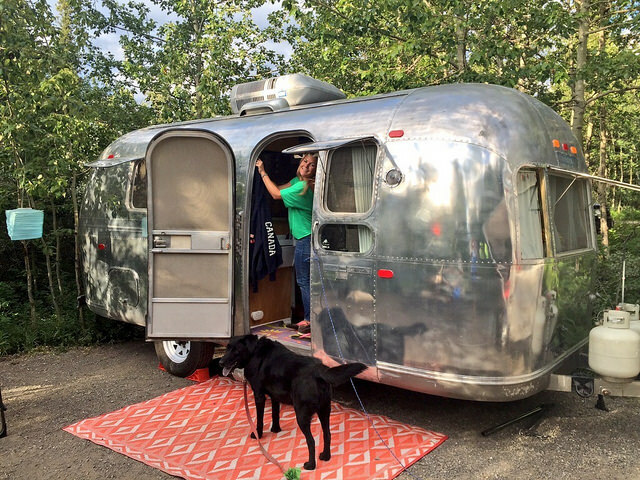 It was an obvious choice for a couple who loved to get away in their old Skipper trailer. “It's sort of what we work for during the week, to get into our trailer and on the road for Friday,” said Barton. It was when they were on that RVing honeymoon that the couple first realized they were meant to be owners of an Airstream. It proved difficult to find one in Canada, but Bovon stuck with the dream and they ended up buying a run-down 1969 Globetrotter model off of Kijiji. The trailer needed to be gutted and completely refinished, but they gladly put in the labour of love. The restored vintage Airstream is now the pride and joy for the pair. 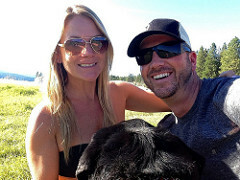 Aptly known as the Canadian camping couple, Barton and Bovon have a home and jobs in Calgary, Alberta. However, their favourite times take place while they’re on the road. In 2015 they missed only one weekend of camping between April and October and logged nearly 60 days exploring the outdoor wonders so readily available from their home base. They were out periodically all the way through the end of December. Winter camping provides a peaceful experience that they think more people should take advantage of. Rving has even become a big part of the couple’s social life as they’ve inspired friends to buy trailers and join them on their journeys. Bovon believes that the connection people experience when they get out of the busyness of daily life is one of the biggest advantages of the trips that they take. Barton and Bovon are so enthusiastic about sharing their outdoor lifestyle that they were chosen to be Alberta Parks ambassadors. As weekend warriors, they are particularly appreciative of the variety and simplicity that camping the province offers. Within an hour’s drive they can reach the Rocky Mountains to the west, the Badlands to the northeast or the rolling foothills where the mountains meet the prairies to the south. Still, when the couple are able to find a longer stretch of time off they enjoy going farther afield. Favourite destinations include Lake Koocanusa and the Okanagan—the hot weather, cool water and wineries make an ideal package according to Barton. Bovon said they enjoy travelling on a whim, moving on when they want to and staying at places that they find intriguing. 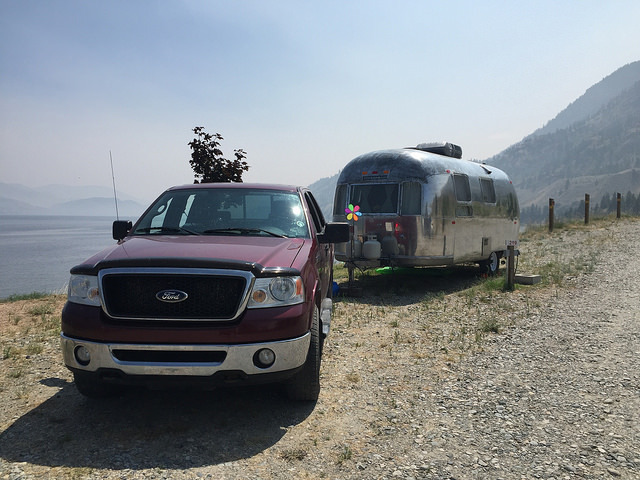 For Barton and Bovon, RVing is about getting outside. 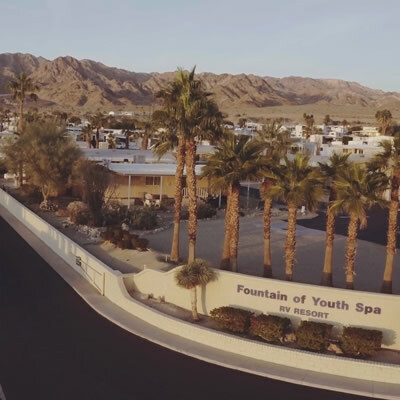 They enjoy biking, hiking and stand-up paddleboarding, as well as camp games such as bocce ball and even cards. They also like walking around campsites and looking out for other vintage trailers. Regardless of where they go, they find that every weekend is a little bit different—sometimes they bring different friends or they might plan different activities. They can’t pick out any favourite memories, claiming that all their trips are a highlight reel. 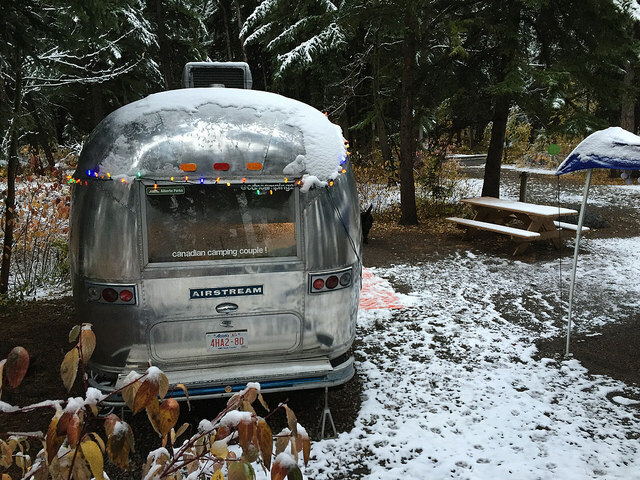 It’s obvious that this Canadian camping couple have found their travelling groove. 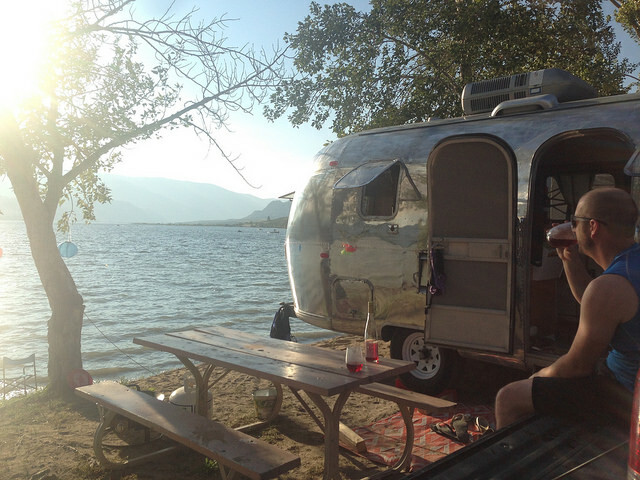 They plan to stay with a vintage trailer, claiming that once you go Airstream you never go back. Eventually they’d love to make the move to trying full-time RVing. Barton’s bucket list includes Route 66 from Chicago to Santa Monica. Wherever the road leads them next, Barton and Bovon have found their personal happy place. 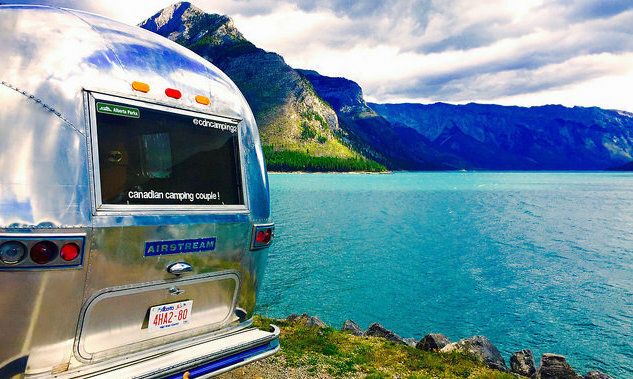 While you’re out camping on the western side of the continent, keep an eye out for the vintage Airstream with the Canadian camping couple sticker on the back. Dave Barton and Anne Bovon love to meet people who share their passion for RVing. An architectural wonder and a UNESCO World Heritage Site, Mesa Verde National Park near Cortez, Colorado, is home to nearly 3,900 Anasazi archaeological sites.